I’m sure many of you are familiar with the Holland Village restaurants, but do you know that there are a stretch of restaurants opposite Holland Village? 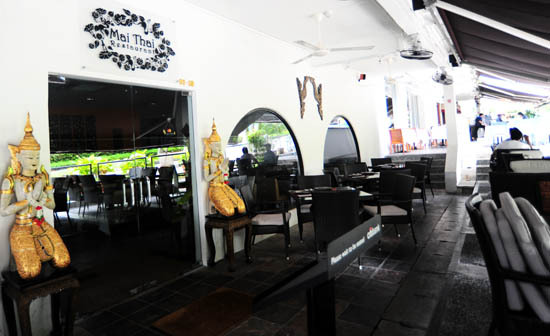 Chip Bee Garden on Jalan Merah Saga is located directly opposite of Holland Village. Hidden from the public eyes, it is a quaint and charming place that houses different restaurants, gourmet food stores, and baking supply shops. 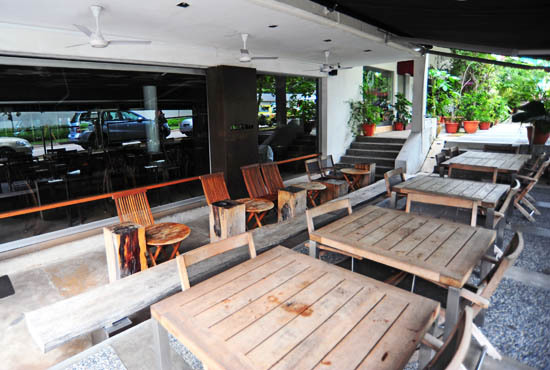 The bistro is the sister restaurant of Au Petit Salut at Dempsey road. Prices are relatively more affordable compared to the restaurant, with the 3-course set lunch at just $25++. If Greenwood Avenue is home to the Les Amis group of restaurants, then Chip Bee Garden is the equivalent for the Da Paolo group. There are four different Da Paolo dining concepts here: Da Paolo Dolci is a bakery to showcase fine Italian sweets – many people told me that they serve the best tiramisu in Singapore. With four centrally located Gastronomia outlets in Paragon, Great World City, Bukit Timah and Holland Village, I’m sure many of you would have seen Da Paolo Gastronomia before. 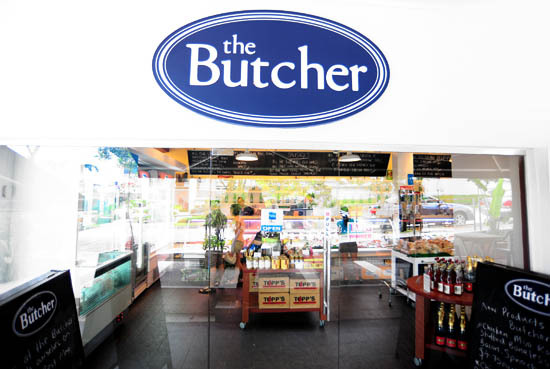 It’s a deli that carries gourmet products, freshly-made pasta, bread, pizza and also a good selection of desserts for take-aways. There are three different restaurant concepts under the Da Paolo group; La Terrazza, Il Giardino, and Il Ristorante. They have an impressive lineup of homemade pasta with the prices in the $20 – $30 range. With twenty pizzas to choose from, the Da Paolo Pizza Bar focuses on perfecting their pizza, leaving the pasta, seafood and meat to La Terrazza. The different dining concepts cater to different cravings and occasions, with the restaurant being a good choice for a romantic dinner, and the pizza bar the ideal place for friends gathering. I’m sure many of you will know about Citibank’s credit card 1-for-1 dining promotion and that was the main reason why I am using their card. I have always wanted to check out Michelangelo’s as they are one of the restaurants that has the 1-for-1 lunch promotion, and also because they have been one of the most popular Italian restaurants in Singapore. Just in case you missed my previous post, the upcoming Singapore Food Blogger dinner will be held at the Italian restaurant. I always get a headache whenever my vegetarian friends asked me for recommendation of vegetarian food in Singapore. As much as I love vegetables, I can never imagine myself giving up kurobuta pork, wagyu beef, or lobster for potato, broccoli or tofu. Needless to say, I hardly eat vegetarian food when I’m out. 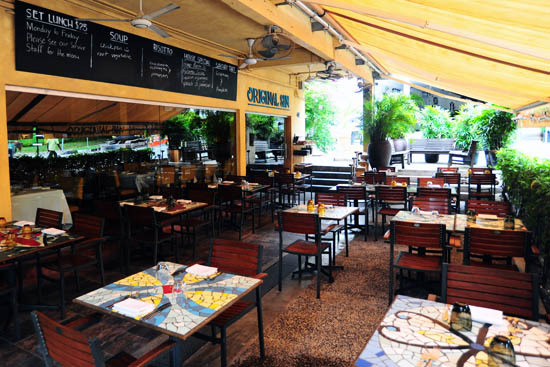 Original Sins is a Mediterranean vegetarian restaurant in Singapore and a sister restaurant of the Michelangelo’s Group of Restaurants. I know this is supposed to be a guide to Chip Bee Garden Restaurants Singapore and technically speaking, Pantry Magic isn’t a restaurant. Since this is a food blog, and Pantry magic is related to food, I decided to add it in the list anyway. For those of you who are not aware of the presence of Pantry Magic, they carry a variety of top-quality cookware to satisfy the needs of every cook. If you are a baker, and you have not heard of Phoon Huat, I really do not know what to say. Phoon Huat is Singapore’s leading supplier of bakery, beverage and confectionery ingredients. “Do you cook?” and “are you really a chef?” are some of the questions that I always get. While I can find my way around the kitchen without getting hurt, and fried an egg or two, but at some point of my life, I came to the realization that I’m simply more talented in eating than cooking. Lets just leave the cooking and baking to the more talented folks. Drop by Shermay’s Cooking School at Chip Bee Garden or check out their website for information on the classes. 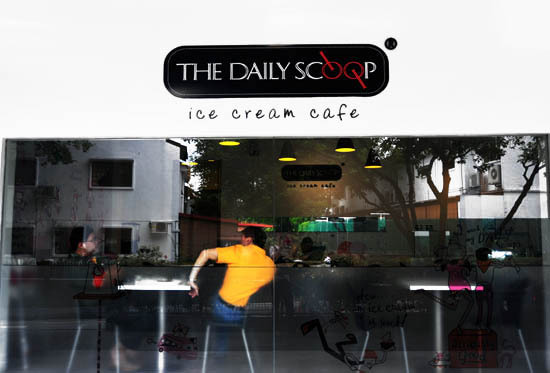 The Daily Scoop is one of the first few ice cream places that kick-started the local homemade ice cream trend in Singapore. If frozen yogurt is never your cup of ice, go to The Daily Scoop at Chips Bee Garden which has more than 40 flavors in store. If you have explored almost all the Holland Village restaurants, maybe it’s time to check out some of the Chip Bee Garden restaurants for dinner! For those of you who have been there before, tell me: Which is your favourite restaurant at Chip Bee Garden, and which one are you going to try next? Jo: thanks Jo! yea which restaurants are u intending to go next? I love the daily scoop! Love the texture of their icecreams! their waffles are pretty awesome too! I went to Original Sin the other night and despite being deeply pessimistic about an all-vegetarian restaurant I was quite impressed with the food. I find the prices a bit high but the food was superb! Most of these places aren’t open any more … time for a refresh!